Ideal snow conditions. Near 3 ski resorts. 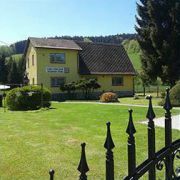 House with 2 apartments in a beautiful environment of Jeseníky. Suitable … More » for hiking and cycling, 3 ski resorts.